Deep cleanses, unclogs pores & moisturizes in one wiping action and It is suitable for all skin types & made from premium non-woven fabric. This makeup remover wipes are gentle, ultra soft cloths contain superior cleansing technology so effective it removes even waterproof mascara with one step, it leaves skin throughly clean with no heavy residue, so there is no need to rinse. 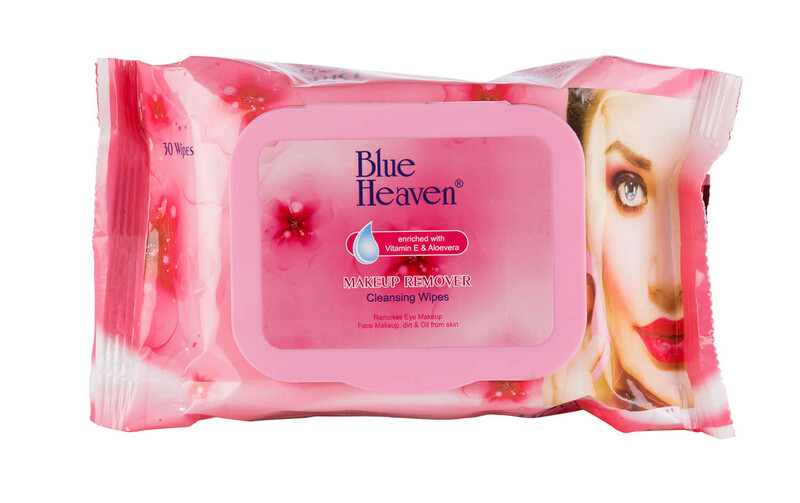 Features - Blue Heaven Makeup Remover Cleansing Wipes offer you superior cleansing and makeup removal at your fingertips. These , ultra soft, pre moistened wipes that effectively & gently sweep away makeup, dirt & oil for clear, fresh skin. Gentle enough to use around the sensitive eye area. Enriched With Vitamin E & Aloevera. 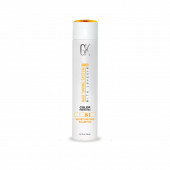 Oil-dissolvers go deeo down to remove pore-clogging impurities & leave skin thoroughly cleansed. 30 Wipes.